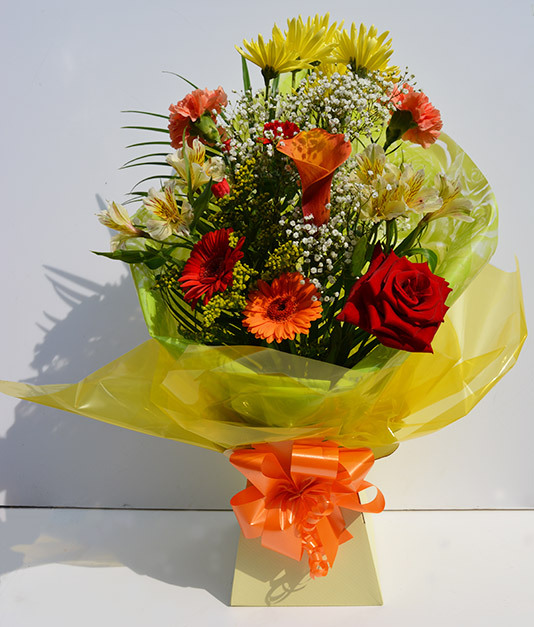 Browse through our beautiful array of floral arrangements for all your special occasions. 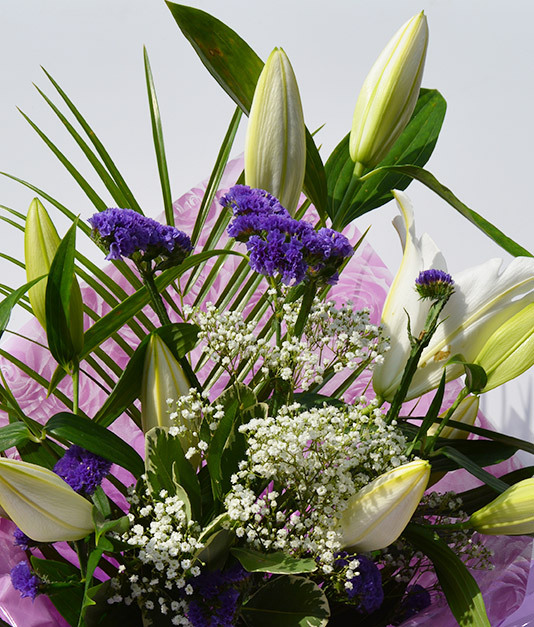 All our flower arrangements can be tailored to suit your specific needs. 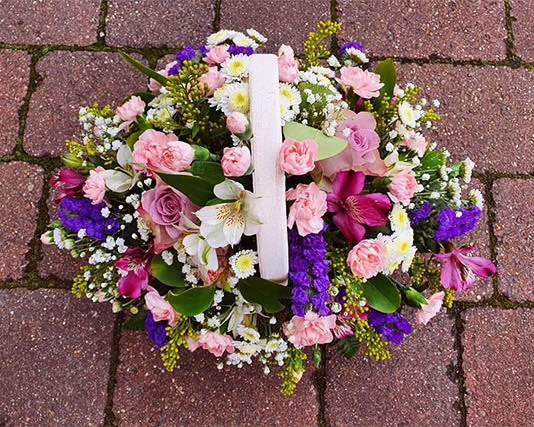 We can create any size and shape of arrangement consisting of your favourite flowers, colours and scents. 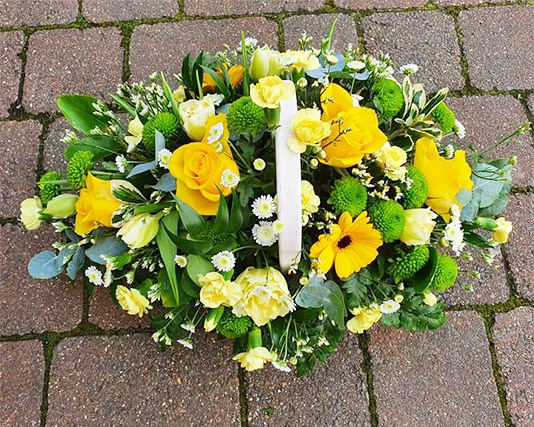 Additional accessories such as balloons can be added to all arrangements from as little as £3. 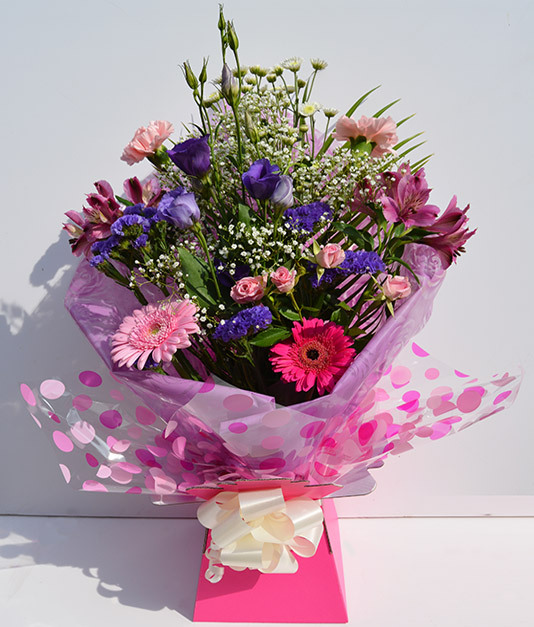 Enjoy a beautiful selection of flowers, colours and accessories of your choice. All our hand-tieds are 100% customisable. 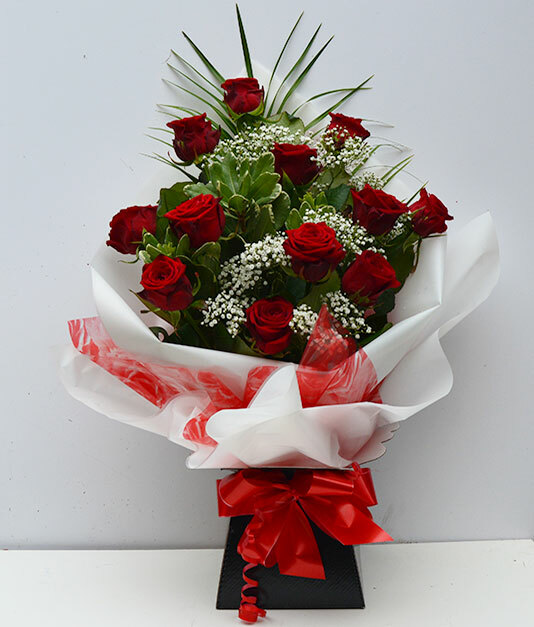 Beautiful long stemmed red roses with gypsophilla and assorted greenary. 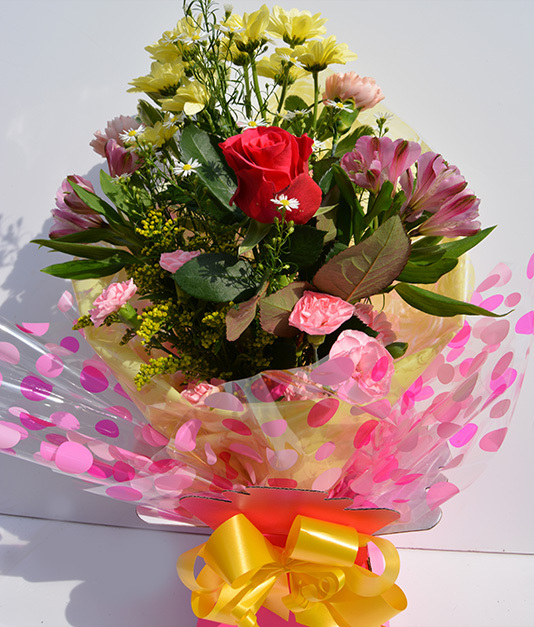 Other sizes available, please enquire for prices. 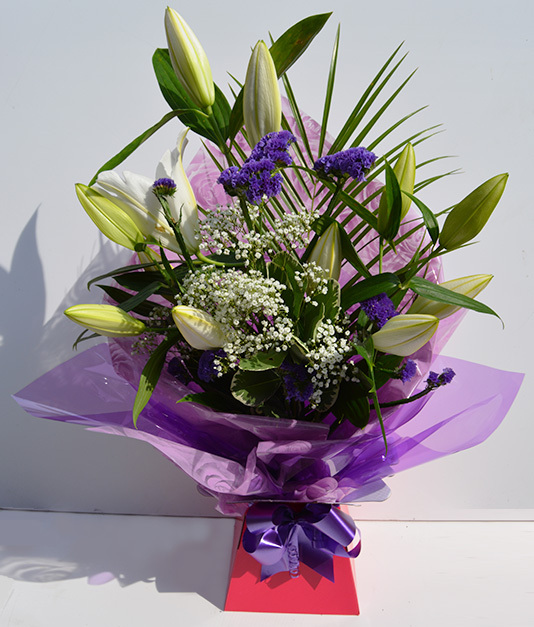 Luxurious large Lilies with assorted foilages. 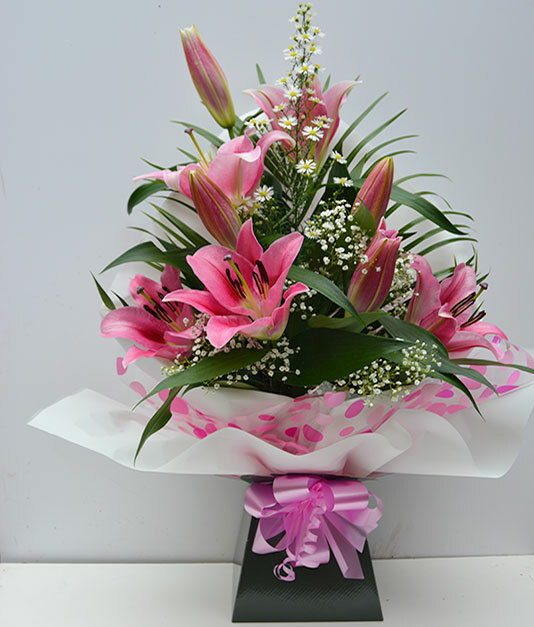 We can cater for any size of Hand Tied Lilies, please enquire for prices. 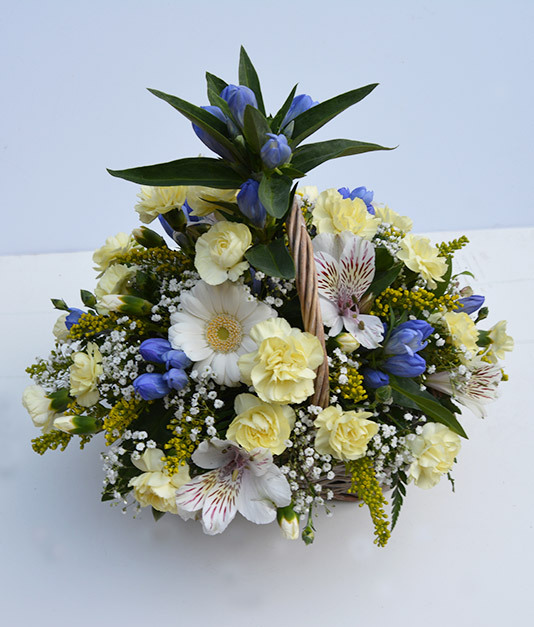 Arrangement displayed in oasis in colours and flowers of your choice.